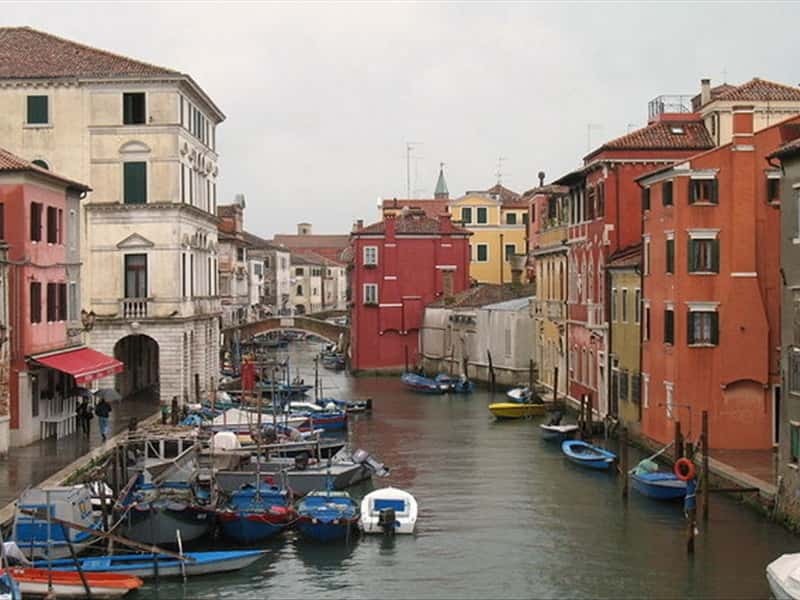 Municipality in the province of Venice, situated on a group of islands in the most southern area of the Venetian lagoon, near the primary delta of the Po, Chioggia is a picturesque town, similar to Venice, crossed longitudinally by three channels and a road network. The houses are arranged in a herringbone pattern to make it easier for boats to haul in. There was a harbor already in Roman times, with a "mansio" (a coach stop) along the route from Ravenna to Altino. The special position occupied, between the sea and the lagoon made it an ideal refuge against the invading barbarians. In medieval times the settlement submitted a period of rapid expansion. Under the domain of Venice, the inhabitants lived a troubled period, as it became a strategic point to defend the city's borders. Granted with a certain autonomy in the IX century, however, in the second half of the XIV century, it was directly involved in the clashes that ended with the victory of the Republic of Venice on its rival Genoa. In this occasion Chioggia was razed to the ground and was never able to recover the wealth gained, even after its reconstruction to which the Serenissima largely contributed. This town web page has been visited 24,548 times.